Drawing challenges at Darba Waħda sessions. The Chinese Garden of Serenity is generally quiet, with its many bronze statues and ponds contributing to the stillness and peace that generally falls on the garden. 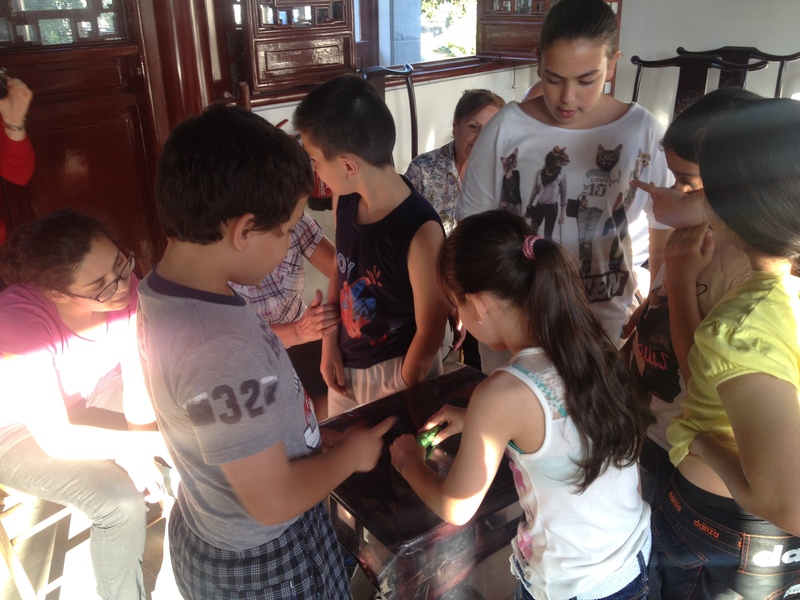 Today, however, is Monday and on Mondays that quiet is shattered with the excited screams and exuberant laughter of children arriving to take part in the Darba Waħda sessions, a project which forms part of Valletta 2018’s Cultural Programme where children and elderly persons from different localities around Malta and Gozo participate in different activities together as a unified group. One by one the children run towards the Chinese-style building in which the sessions take place, eager to start the day’s activities. Following the children are five elderly people, happily walking next to each other and chatting away – a sharp contrast when compared to the children’s zealous screams. A few steps behind, carrying bags full of props and papers in both hands, is applied drama practitioner Anna Formosa, who supervises and delivers the sessions. 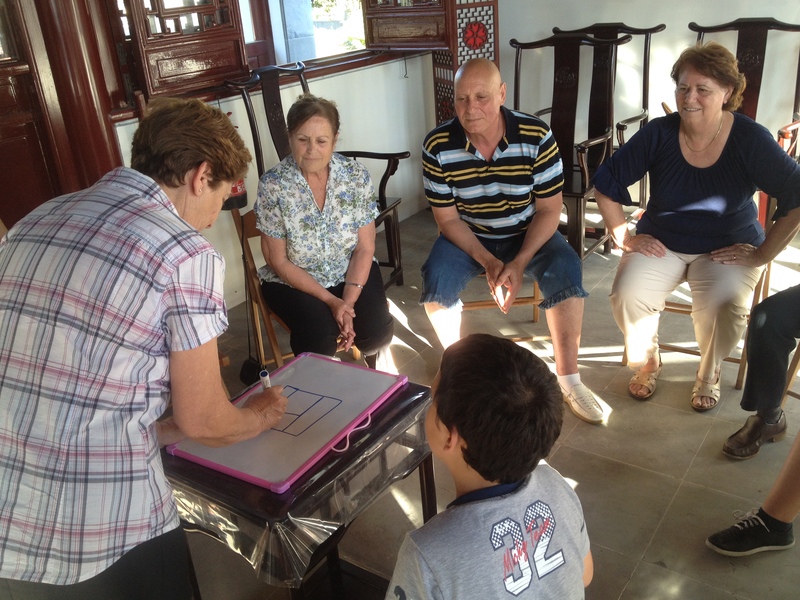 Once inside, the children and the elderly help set up the room together as a team, despite the monumental age gap. Some open windows while others unfold chairs or provide refreshments. After everything’s been taken care of, everyone sits in a circle, ready for Anna’s explanation. Taking out a huge colourful dye out of one of the bags, she explains that they’re all going to play a game. Before continuing her explanation, she splits the room in half by forming two teams of 5 or 6 members which are made up of both the children and the elderly. She explains that each of the dye’s colours represents a different challenge. To ensure that all team members participate, teammates, both young and old, have to work together to win a point. Creating shapes using modelling clay. Throughout the session, children and the elderly had to join forces by either humming tunes to each other, building structures using modelling clay, drawing (sometimes with participants’ eyes closed or without raising their arm off the board), acting, and moving a teammate’s limbs as if to sculpt them like a statue. Children were obviously very competitive – getting up and screaming out answers with excitement – but even the older players were enjoying it, laughing and trying their luck as they took part in challenges and tried to guess answers. It was a magical experience to sit in on this session as I witnessed the generational gap dissolve as members from different generations (and arguably, different worlds) came together, enjoyed each other’s company and, above all else, had fun. Within these sessions, age isn’t a deterrent for unity and teamwork, and that is quite a curious thing. Darba Waħda sessions are held every Mondays, Tuesdays and Wednesdays in Santa Luċija, Dingli and Mosta for participants from Naxxar, Mosta, Għargħur, Rabat, Dingli, Mdina, Paola, Fgura and Santa Luċija. 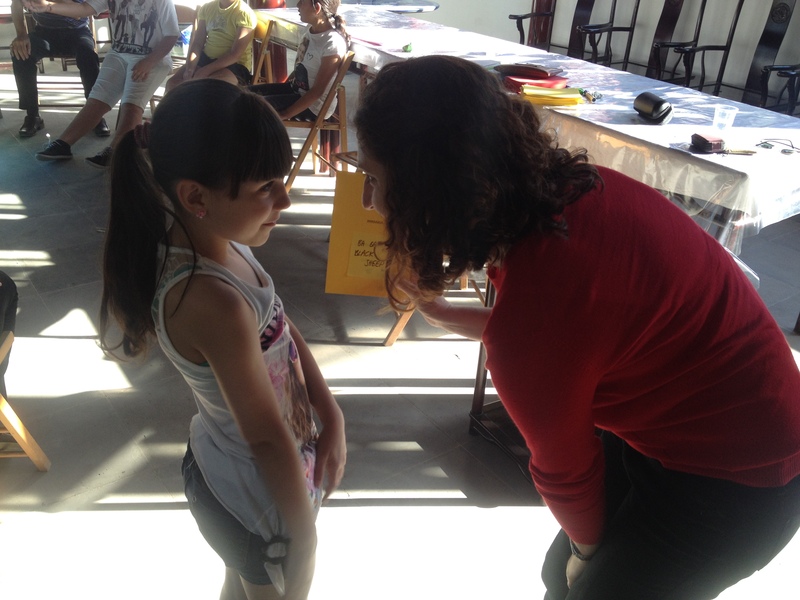 “Can you hum this?” – Anna Formosa with one of the younger participants.